Calling all stockbrokers! 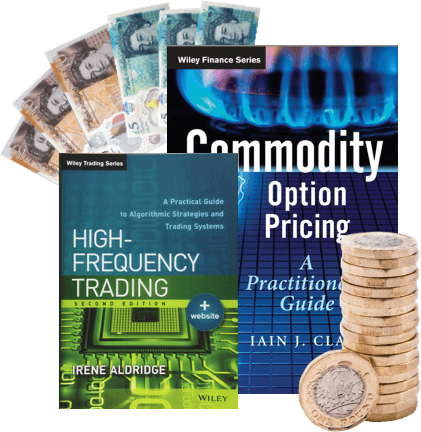 If you’re savvy about stocks, we’re guessing you probably have heaps of stock market and trading books on topics such as forex, high-frequency trading, quantitative trading, position trading and commodity trading. But if you’ve outgrown any of these books, or need to cut down a colossal collection, why not sell them for cash with WeBuyBooks? 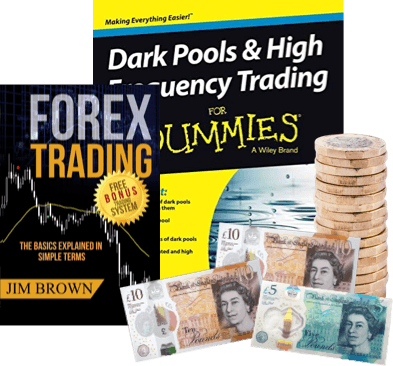 Exchange used stock marketing and trading books for cash! We know that stock traders are a savvy bunch, which is why we think you’ll love our selling system… We offer you cash in exchange for stock market and trading books, and make selling online and receiving cash straightforward and totally aboveboard. If you’re a trader, you’re most likely a dab hand at making bids and negotiating, but selling on auction sites isn’t necessarily the best way to go when selling used books online. 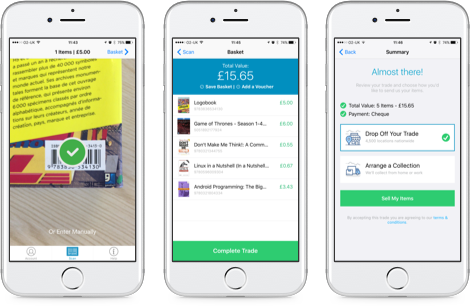 Sell used stock market / trading books on the go with our mobile app! It transforms your phone’s camera into a clever scanning device, meaning you can get valuations for your used stock market / trading books whenever and wherever. So, even if you’ve got piles and piles of used stock market / trading books to sell, it won’t take you long to swap them for cash! Rather than gambling with the amount of money your used stock market books will fetch, here at WeBuyBooks we provide you with an instant valuation – so there are no nasty surprises! Plus, the money will be safely in your bank the day after we’ve checked your books, meaning you can relax in the knowledge that your money will be on its way soon, rather than hoping a stranger will honor their payment promise. If that doesn’t sound straightforward enough, we also provide you with a prepaid postage label, so you can be sure you won’t lose any pennies after being caught out by mail costs at the post office! There is money to be made by simply shifting your unwanted stock market and stock trading books, so drag yourself away from your shares for a few moments, and cash in! Send your Stock Market / Trading Books, DVDs, games and CDs to us and we’ll send you some money. Less clutter at home and more money – what’s not to love about that? So don’t wait – sell online today with We Buy Books. If you’d like some extra help, then please don’t hesitate to get in touch. Just give us a call on 01706 248281.